I'm making a couple assumptions here: That you're using OSX and you have node.js, npm and express installed, and you've got an azure account set up with an active paid or trial subscription. The Azure command line interface can be installed with node package manager (npm). The -g flag tells npm that you'd like the command available 'globally' rather than just isolated to that particular directory or project. The above command should demonstrate that Azure as been correctly installed and is now available in the command line. They use some cool authentication routine here that requires you to login through the browser. 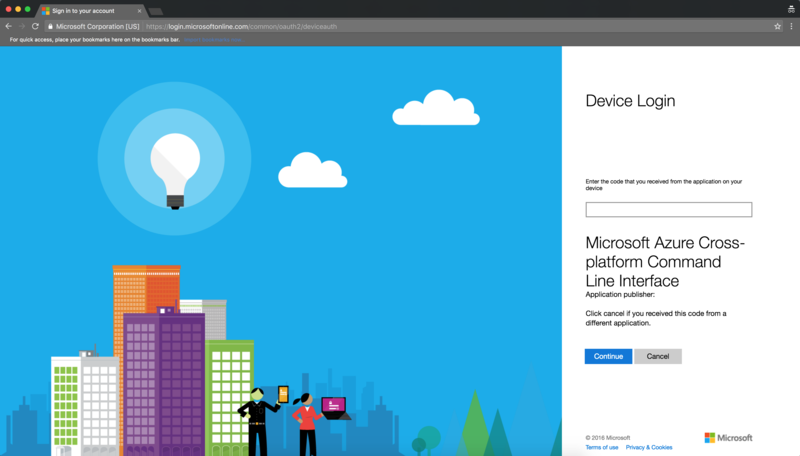 You set up your initial 'user' in this way, and subsequently can manage your session with 'azure login -u ' and 'azure logout -u '. 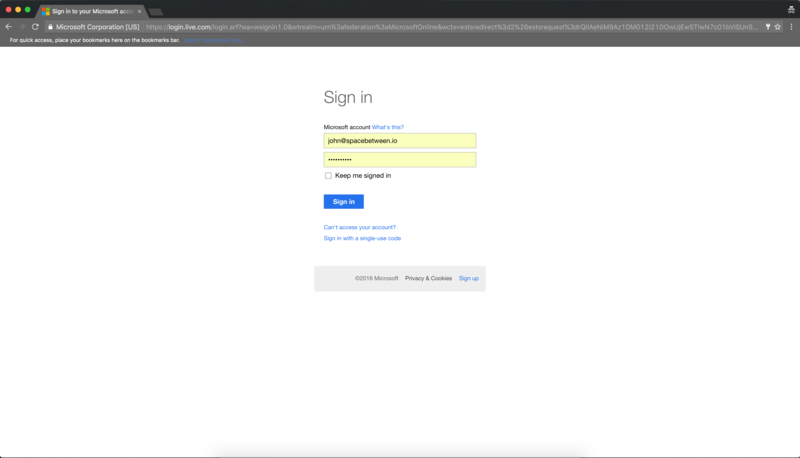 $ azure logininfo:    Executing command login\info:    To sign in, use a web browser to open the page https://aka.ms/devicelogin. Enter the code XXXXXXXX to authenticate. Visit the page in your browser. Enter the code given to you in the command prompt. Navigate to your 'project' directory and create yourself a shell express application. 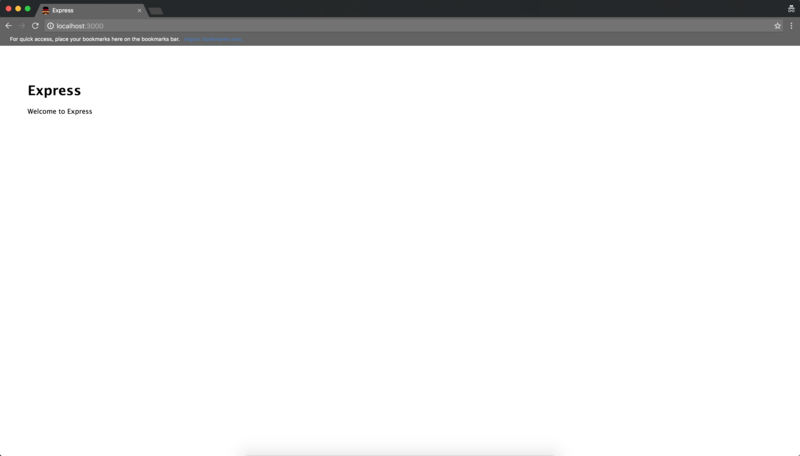 Move to the directory and install the dependencies. 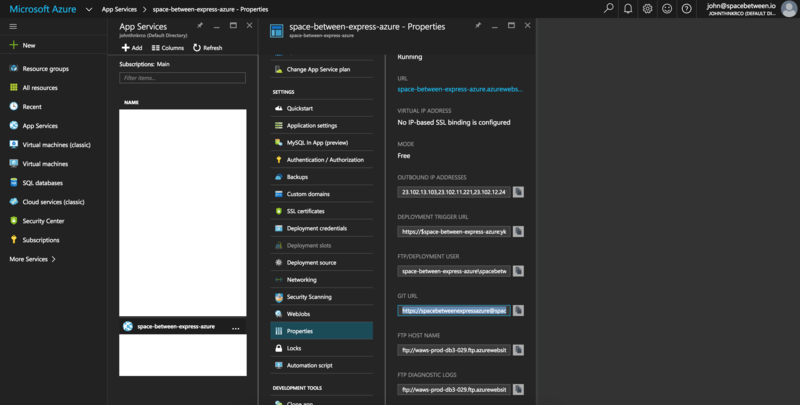 Create the App Service with Azure CLI and choose a location. Initialize a git repository, add files & commit changes. 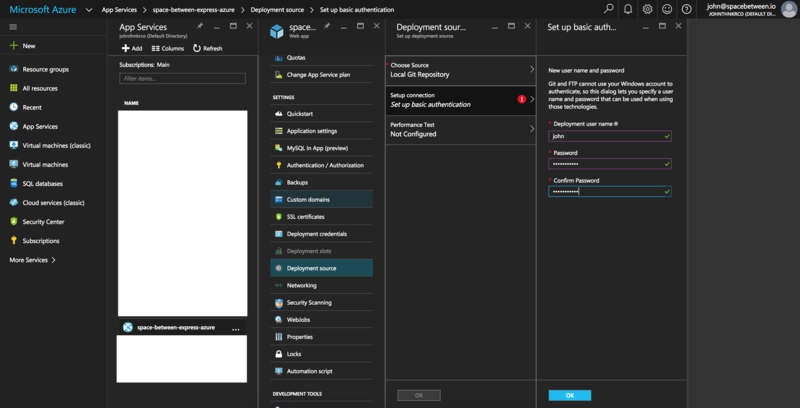 $ git init$ git add .$ git commit -am "empty express project"
Enable local git deployments in the Azure Portal & set up credentials. Add Azure remote and push work. My experience with Azure CLI is positive. Those of you familiar with Heroku or EB will notice that there are a couple of extra steps here but the lack of a procfile is a nice touch with the App Service using the package.json to determine how to run the application in production.